Insert crisps to continue. : Latin cash machines? Absurdus. I'm sure by now you all know how much I love languages, especially obscure ones. Furthermore, if you're looking for obscure languages, dead languages or invented languages come pretty high up the list. Furthermost, the deader and inventeder the better. 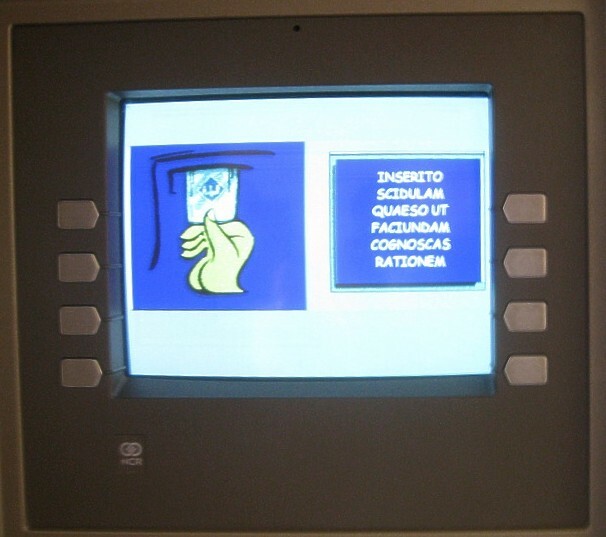 So you can imagine how my ears perked up when I encountered all the online noise that's recently been transmitted about how the cash machines in the Vatican City issue their instructions in Latin.